On this page you'll find some videos of our founder Shodai Soke Adriano Busà demonstrating some Ju-Jitsu techniques. Inside this page you can find a collection of some of the many travels Soke Adriano Busà made in the last years to bring his experience in Ju-Jitsu from Europe to the Americas, from the Canarie Islands to Japan. Adriano Busà is a self-defense professional and the founder of the World Ju-Jitsu Corporation, an international organization devoted to studying and developing Ju-Jitsu, the martial art he's been practicing since 1991. His experience in the field of Japanese disciplines had begun 10 years earlier in the far 1981 with Judo, which drew him near to the tatami, though it would never totally satisfy him. As a matter of fact, in the late 1985 he changed completely and started practicing boxe, which he thought was more fit for his temperament. However, not even this sport satisfied him completely. He went on searching for such a discipline that would complete and enable him to express himself at his best. After brief experiences in some other martial arts, once he was dazzled by a ju-jitsu lesson being hold in the gym he attended to keep fit and decided to take a trial lesson at once.. He was surprised by finding that ju-jitsu includes all in itself and how much his past experiences were both useful and precious. He realized at once this was what he'd always been looking for and he'd finally found it. Like many others, ever since he was a child, Adriano Busà was intrigued by the tv characters, in fact at the age of 7, he made a rudimentary Nunchaku with two small logs found in his father's company. 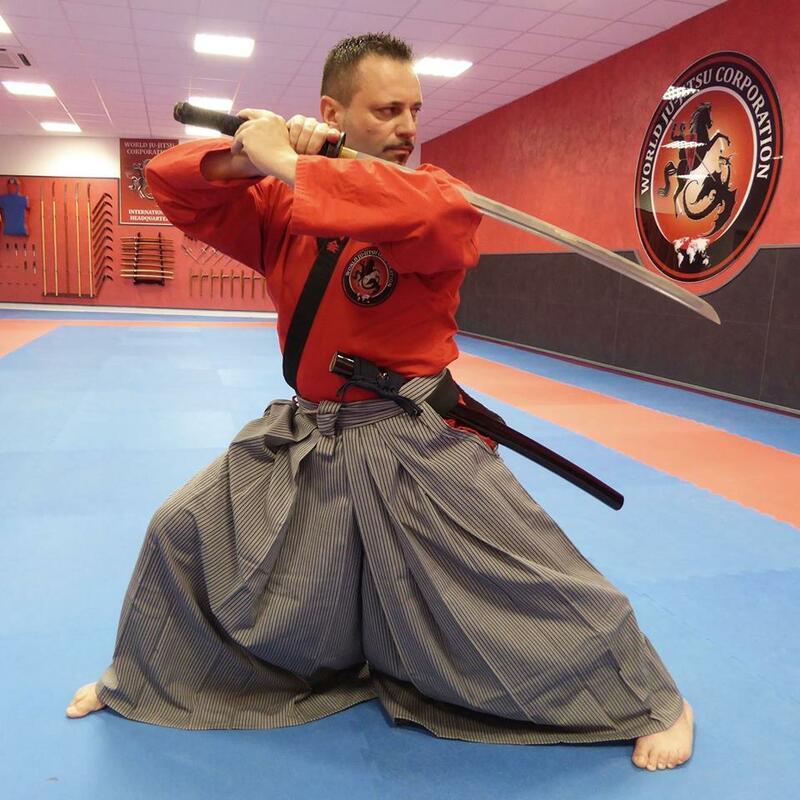 His first experience as a self-taught in Kobudo ended when he broke a window in his house. While most other children of his town had fun playing football, he went on playing at the Samurai in the big terrace of his house, by imitating their deeds and often making funny movements. Despite the many sarcastic comments from the adults of his family, his passion for martial arts is not nearly undermined, on the contrary, it grows more and more, to such an extent as to persuade his parents to give him a “Kimono” as a present and enroll him on a gym wehere Judo was practiced. This is the way he began his martial career that has now been lasting for 35 years. It is with Ju-Jitsu that he does his best, he's filled with an extraordinary feeling about this martial art, almost trascendental. Though he was still immature from both a technical and athletic point of view, he became an important benchmark when he was still a green belt, when his sensei of that time had abandoned him and his training mates to go and teach to another dojo, without even noticing. He was asked to hold the course for a while. Despite his immature experience, he tried to teach the others what he had learned until then, like an elder brother, while waiting for another master that would never arrive. Than he gave up. At the crossroads between giving up or going on to learn, he was forced to leave his group and look for another master that could train him. Once received his black belt from the undisputed head of the organization he belonged to at that time, from Soke Robert Clark directly, he threw himself headlong into the study of Ju-Jitsu with even more strength, coming up to the 3rd Dan, when he also received the title of Technical Director of Florence, the town where still leves and works. A few years later, he was appointed to National President and took part to many travels abroad as a representative of the Italian federation he belonged to. He travelled a lot to England, especially to the international dojo in Liverpool, where he's learned the sweet art. 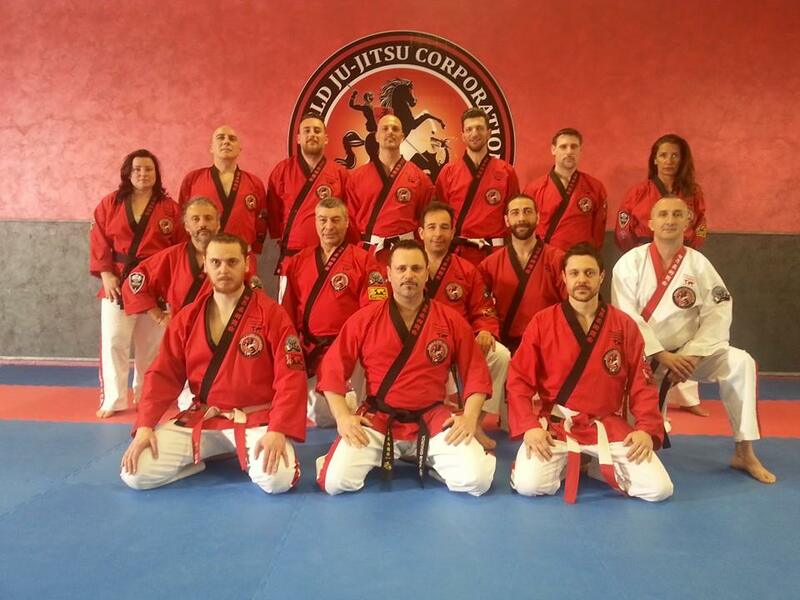 It is exactly there that enriches and enhances his experience in the area of Ju-Jitsu. In the course of time, he came into contact with an English S.A.S. and His Majesty the King's guards' instructor and established a long lasting friendship with him. So, his experience extended to the professional area too. In 2008 he decided to invest in this sector and founds A.N.S. S.r.l. in Italy (the acronym ANS stands for Agenzia Nazionale di Sicurezza). A company that deals with professional self defense training for police and military, besides carrying forward his great passion for Ju-Jitsu. A.N.S. S.r.l. is the first and sole company in Italy that received accreditation from a Regional body and Quality Certification UNI EN ISO 9001:2008 in the area of professional self defense training. Unfortunately, fate dealt Soke Robert Clark a severe blow and he loses his most important battle at the age of 66: he passed away after fighting hard against illness. Therefore, the Samurai who travelled all over the world to spread his knowledge of the sweet art, makes his last journey in a deafening silence and in strict confidence. After the English Soke's death, having realized nothing would ever be the same, Adriano Busà made a memorable decision, he had to make an agonizing choice and left the organization that meanwhile had appointed him as Italian member of the Shihan Kai, international council of the black belts, the highest possible level. He resigned and established the World Ju-Jitsu Corporation (WJJC), has had the title of Shodai Soke and drew for the WJJC the well known logo of Saint George, patron of England, logo which is quite unusual for martial arts though with a strong symbolic content. In 2011 he established the World Ju-Jitsu Centre in Florence (Italy), the WJJC modern headquarter that hosts A.N.S. S.r.l. With an area of around 700 square metres, the World dojo of the World Ju-Jitsu Corporation, includes a welcoming reception, a wide Ju-Jitsu and Kobudo room, STS room for professional self defense training and a room devoted to the functional training. Such training is aimed to build explosive power and resistance for Fight Jitsu, Ju-Jitsu and STS practitioners, expecially those who prepare for competition. Adriano Busà is often abroad where he travels to pass his knowledge and his Ju-Jitsu style on, one that he's re-elaborated and made more modern as a consequence of his yearning for research, respecting the perpetual motion wheel that keeps going round. Meanwhile, the World Ju-Jitsu Corporation has gained more and more popularity and has crossed the borders. 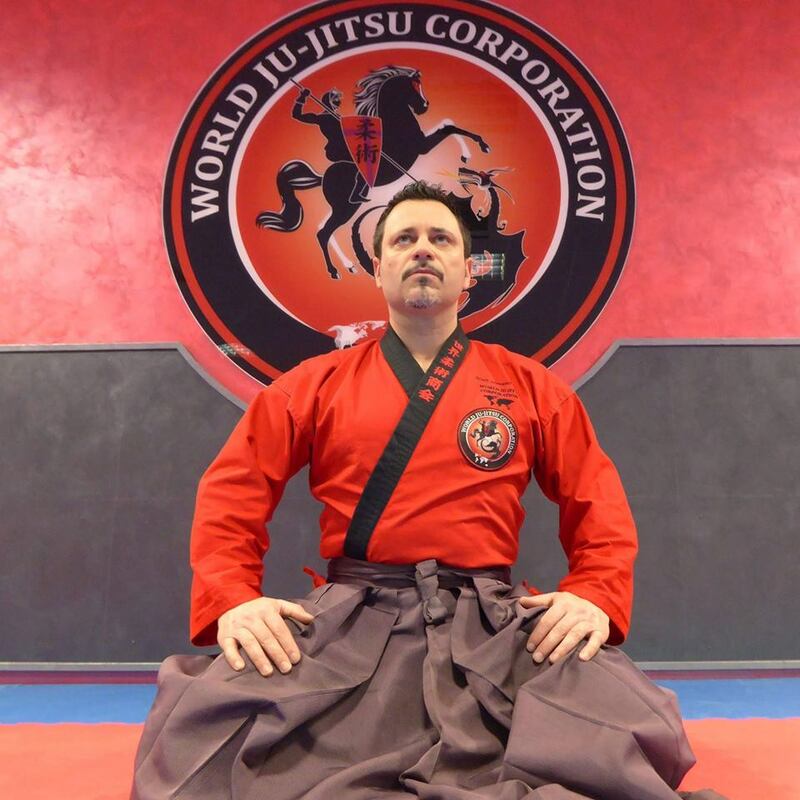 In the first 2 years of the WJJC, Soke Adriano Busà has already opened schools in Kuwait, Perù, Canarie Islans, Slovenia and obviously in Italy. Many a master from all over the world get in touch with the international secretariat to join the WJJC and there is a careful selection of the applicants. The master, thanks to his notoriety, cultivates many friendships among professionals of international worth , is often invited to seminars and conventions, not only is he highly esteemed in the Ju-Jitsu sector but also in the professional self defense training area. He's already travelled to several countries in over the past few years, to name but a few: Serbia, Kuwait, United Arab Emirates, Japan, Belgium, United States, Slovenia, Spain, Scotland and England. It was his travel to Belgium that was especially important. As a matter of fact, the WJJC has been chosen among many international organizations for a very prestigious task. 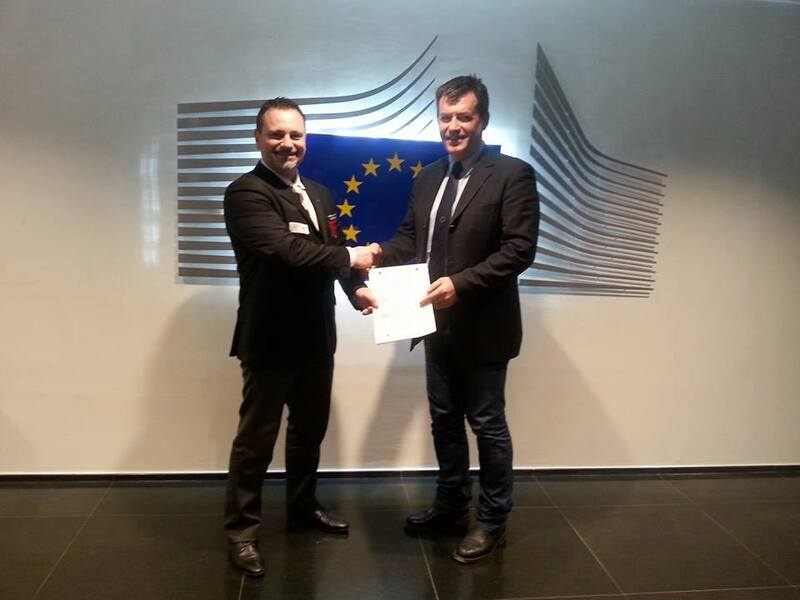 On September 2015, Soke Adriano Busà took a delegation of WJJC black Belts with him to Bruxelles at the European Commission to attend the European Qualification Framework course, hold by Prof Giovanni Gordiani - president of EurEthics (Sport for All). Such course was intended to allow the WJJC to receive exclusive licensing to train professionals in the Ju-Jitsu and professional self defense sectors, to issue sport coaching diplomas within ISO 17024 certification that disciplines personal competences. Such certification is necessary in order to enter the European Register of Professionals. 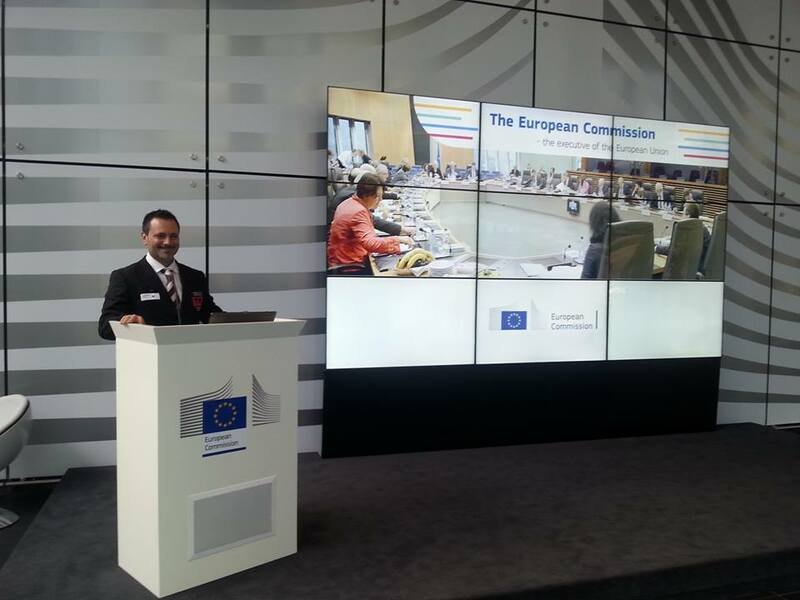 During his second visit at the European Commission at Bruxelles, Sensei Busà was given by EurEthics the 8th Level plus EQF (Academy Master) and the title of Professor in Ju-Jitsu. He also received the proposal to enter EurEthics' academic senate as an executive member, an honorific appointment he won't reject. Today Adriano Busà is pursuing his goal of reaching anybody in the world is interested in joining a modern organization and learn an updated and professional Ju-Jitsu style, while preserving the traditional tipical Ju-Jitsu values. Values that are perceived as outdated in nowaday's society, though everyman needs to rediscover them. It is not possible to practice a sport serously unless you confront with yourself, especially when you practice Ju-Jitsu. This is why we strongly believe that the Samurai in you, won't reveal unless you've defeated the one that keeps him inmate... in your own limits. Located in the heart of Florence (Italy), the International Headquarter of the WJJC represents the modern evolution of a dojo. Rebuilt from what had been a motorcycle store, the World Ju-Jitsu Centre has been divided into separate rooms for the differnt trainings. It covers almost 700 square metres and its plan has the bizarre shape of a gun, with the entrance laying exactly at the muzzle. According to Soke Adriano Busà's wishes, the centre is made up of three main training rooms, one of which is dedicated to Ju-Jitsu and Kobudo classes, than there are the STS and the functional training rooms. Already at the entrance, you can feel a great sense of professionalism with a reception area well equipped with all the WJJC items for the training which are the backdrop of a modern welcome desk. In front of the entry desk, there is a waiting corner, it is possible to sit on alluminium chairs and read specialized magazines. Over, behind a column, there is a relax area with bar tables and automatic machines for coffee, snacks and energy drinks. While having a coffee and watching the WJJC videos on the screens one can't but admire the board with the offiacial badges of the affiliated countries. Right after the turnstile when entering the training area, begins the “muzzle”. On the right of the corridor there is the STS room, equipped with professional training items for police and military close combat. Adjoining is the Ju-Jitsu room, with its pads for fight and kobudo weapons. At the rear, is the functional training room, with its columns of light from the ceiling. If you continue along the corridor, there are the changing rooms for men and for women. At the World Ju-Jitsu Centre hundreds of martial artists from several towns in our region and from Italy or from abroad come and train. One might meet people with a National badge from another country on his Gi and speaking foreign languages. They are members from other countries who come to the World Ju-Jitsu Centre to deepen their knowledge of Ju-Jitsu and to train directly with Shodai Soke Adriano Busà.